The retirement claims backlog reached its highest total in a year and a half in February, according to figures published by the Office of Personnel Management. More than 24,000 would-be annuitants are awaiting approval from OPM, the highest total since July 2013. 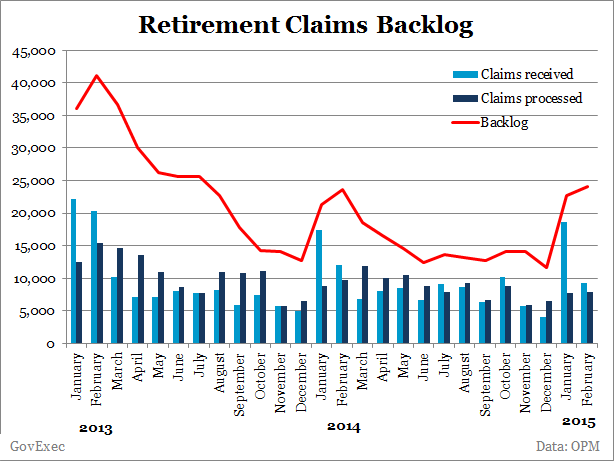 The backlog was inflated by a large spike in retirement claims submitted that typically accompanies the beginning of a calendar year. Still, the number of federal employees submitting retirement claims dropped in half in February to about 9,000, after more than 18,000 submitted claims in January. 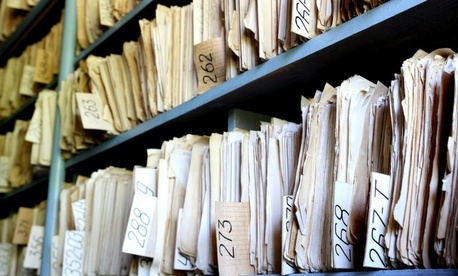 OPM processed about 7,800 claims last month, about the same total it completed in January. The portion of claims processed in 60 days or less increased slightly to 80.6 percent, but is still down from the 83 percent OPM processed within two months in the last quarter of 2014. OPM had expected to cut the backlog to about 21,500 claims by the end of February, and to have fewer claims pending than it had in January. Instead, the backlog climbed by about 1,500 during the month. The human resources agency expects in March to reduce the backlog by about 5,000 claims and to bring the number of pending claims down to 11,000 by September. The last round of sequestration took a toll on retirement processing, forcing OPM to abandon its goal of eliminating the backlog by summer 2013. The sluggish claims process has frustrated both federal retirees and lawmakers, who have called the wait times “unacceptable” and demanded that OPM modernize its system. The chart below shows the claims received and processed since 2013, as well as the backlog each month.